The Paris Climate Change Conference (30 November - 12 December 2015) capped the work of five years of negotiations with the adoption of the Paris Agreement, a historic agreement in the fight against climate change. The Agreement marks a turning point in the global fight against climate change by setting up a new approach to facing this challenge. For the first time, countries unanimously acknowledged the importance of working together, in a spirit of solidarity, to make possible a large-scale reduction in greenhouse gas emissions in order to keep the increase in average global temperature over pre-industrial levels to below 2 °C. The Agreement has recognized the world’s changing realities and the need for all countries, in the measure of their abilities and their national circumstances, to pull together to lower emissions and to get ready to tackle the impact of climate change. The Paris Agreement has also been an incontrovertible success of worldwide diplomacy, which has for years been seeking a framework for action that would bring all countries into the fold. France has played a key role throughout the entire process in the run-up to the Agreement, leading the way in a highly organized, transparent, and concerted manner. Cognizant of past mistakes, it has been possible to work the special needs of all the individual countries into a text which, while not perfect, while not solving all outstanding issues, does succeed in getting all the countries to agree to a single premise: we will all have to pull our share in the face of climate change. France’s skill in time management and in guiding the process has made it possible to take the sensitivities of all the different participants in the negotiations into account to some extent. 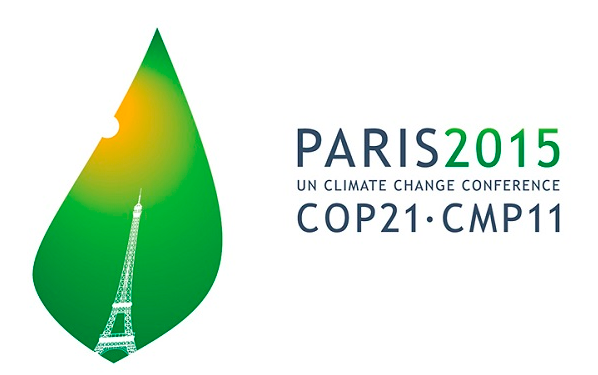 French diplomats worked to secure observance of the rules of the game, particularly complex in the scope of the United Nations Framework Convention on Climate Change (UNFCCC), in many cases as important to the success of a summit as managing the actual content of the negotiations as such. France’s deft touch in dealing with the most sensitive countries, its apt choice of the different ministers to help usher the agreements along over the course of 2015, and its handling of the participation by the world’s leaders, who all attended the Leaders Event held on 30 November, laid the necessary groundwork to make Paris a success. In addition, since the Leaders’ Climate Summit arranged by the United Nations Secretary-General Ban Ki-moon, there has been a large-scale mobilization of non-governmental, private sector, and investment actors, including the insurance industry, the citizenry, cities and regions, and the like, who have gained awareness of their great potential in the struggle against climate change and their importance in being able to achieve a truly appropriate response. Since then a great many initiatives have been undertaken, and all the efforts being made by these operators are paying off, already bringing about additional reductions in greenhouse gas emissions over and above those agreed to by the national governments. This Action Agenda, working in parallel to the negotiations of the text of the Paris Agreement, has provided an additional boost that has helped drive forward the grand spirit of cooperation and determination of the national governments to conclude a far-reaching agreement in Paris. The negotiating process over the course of 2015 also met with an overwhelming response by the vast majority of countries, which submitted their contributions or plans for combatting climate change, in an unprecedented turn of events. Of the 195 countries making up the UNFCCC, 189 have already submitted their plans, accounting for roughly 97 % of global emissions. This tremendous mobilization represents a major change in mindset when it comes to arranging the multilateral lattice for the fight against climate change in the framework of the United Nations. This framework has changed from a top-down model like the one established under the Kyoto Protocol to a system in which the countries themselves, each from its own national perspective, have interiorized the need to account for climate in their own development plans and strategies, and they have undertaken to put into effect the policies and measures needed to reduce their greenhouse gas emissions and make preparations for the consequences of climate change. This novel scheme is a reflection of the new political and economic reality of climate change. Ignoring this new reality would not have afforded the necessary basis for changing the model. This new outlook, plus setting out the goal of 2 °C in the Agreement, sends a strong signal to policymakers, investors, and the private sector regarding the will of the vast majority of governments to foster a large-scale transition to development models that have low emissions and are robust against the adverse effects of climate change. This signal is essential for boosting green investment in production sectors linked to fighting climate change having high growth and job-creation potential, in many of which Spanish companies are global leaders. A global target of limiting the mean global temperature increase to less than 2 °C with respect to pre-industrial levels. The Agreement also seeks to promote additional efforts that would make it possible to keep global warming below 1.5 °C. The text thus commits to the most ambitious goal possible to reduce the risks and impact of climate change the world over and is a declaration of solidarity with the most vulnerable countries, such as island states, which are being particularly hard hit by the effects of climate change. Materializing this global target over a medium and long-term reduction roadmap. The roadmap recognizes the need for global emissions to peak as soon as possible, which will take longer in the developing countries, and for reaching a balance between global emissions and global absorption of greenhouse gases, that is, climate neutrality. This is a basic signal that the private sector has been calling for for years and one that is necessary to promote large-scale climate-friendly investment. The message is clear: the Paris Agreement is the first step along the path to a transition towards low-emission strategies, with no turning back. The plans for fighting climate change signal an incontrovertible determination to change development patterns. Nevertheless, the text adopted in Paris recognizes that, in themselves, the pledges will not suffice to keep the planet on track to reach the target of 2 °C. For this reason, the Paris Agreement has been devised to include regular stock-taking reviews every five years to assess whether the efforts under way to that time are consistent with the goal. This process will be key to establishing a systematic procedure for reviewing the ambitions with a view to ensuring that we will always be heading along a path that is more ambitious than the one before. This affords the system in general, and the countries in particular, stability and certainty by knowing that the international community will be ratcheting up its efforts to fight climate change. The Agreement recognizes the evolution in international relations and the countries’ changing realities. This means that the post-Paris climate architecture will be changing from a totally two-pronged structure of industrialized countries and developing countries to a framework that is much less differentiated and recognizes the different circumstances and abilities of each. In this way, the Paris Agreement is the framework for a new approach to differentiation, one that, even though in many cases it recognizes the importance of leadership by the developed countries, opens the door to incentivizing and recognizing the importance of the efforts of all. This is a more agile structure that opens the possibility of passing through to a new era in which, for the first time, a single, unitary, highly flexible system of commitments shared by all is in place to take into account the realities of all the players. This would not have been possible if the developing countries had not been offered a strong package of both financial and technological support to strengthen their capabilities, key to effective implementation of the Agreement. Adaptation gets the recognition it deserves as a key factor in fighting climate change, equal to mitigation. The Agreement has thus included one of the main demands made by the vast majority of developing countries. It has established adaptation as a global objective to enhance the ability to cope, reduce vulnerability, and improve resilience in the face of the impacts of climate change. Adaptation is a global challenge to be tackled by all, with different dimensions (local, regional, national, international), and it is a key component in the long-term response to climate change with a view to being able to assure protection for people, ecosystems, and means of livelihood. The Agreement includes loss and damage associated with climate change, another key element for adaptation. The importance of averting, minimizing, and addressing loss and damage from both the extreme events and the gradual phenomena linked to the adverse effects of climate change is recognized, along with the role of sustainable development in decreasing the risk that these will occur. In this connection, the Agreement recognizes the importance of enhanced understanding, action and support, and co-operation among the different countries, for example through early warning systems, insurance of perils, climate risk mutual societies, and other insurance-related solutions. The Agreement also contemplates setting up an information exchange centre for risk transfer as an information repository on insurance and risk transfer in order to facilitate the design and implementation of comprehensive risk management strategies. Implementation measures, a section that deserves special mention because it was one of the key aspects of the success of the Paris Conference on various fronts. On the one hand, the Agreement recognizes and stipulates the objective of having the developed countries mobilize 100 billion dollars from public and private sources starting in 2020 and agreeing to set a higher amount by 2025. For the first time, the possibility of voluntary climate-related financial contributions by the developing countries is recognized, thereby expanding the contributor base (demanded by the developed countries), acknowledging the efforts many developing countries are already making, which previously had no place in the system. This is a reflection of the different capabilities of the countries and paves the way for greater participation by the developing countries in mobilizing resources to tackle climate change. All this in a framework of enhanced transparency and a consensus to strengthen the information system to obtain a clearer picture of the financial flows mobilized and the impact of this support in the developing countries. Recognition that all countries should help tackle climate change and strengthen the key features of the system, such as the information and transparency framework, calls for an enhanced structure for promoting the capabilities of the developing countries. This aspect has been taken into account in the consensus reached in Paris, encompassing such issues as setting up a Committee in capacity building to identify the gaps and needs of the developing countries. The Paris Agreement also makes room for market-based approaches. While there are many outstanding issues, there is a clear determination to continue using tools geared towards ensuring compliance with the objectives in a transparent manner that will guarantee the integrity of the system. In addition to all these features, Paris brought forth a large number of new initiatives in a variety of areas, especially in the field of renewable energies and new financial announcements by the governments committing substantial amounts of money to combat climate change in the coming years. Chief among these was the announcement by the Government of Spain to mobilize 900 million euros for climate financing in 2020. Attention should be drawn to the major role played by the European Union in building bridges between the differing positions and in moving the ambition of the process forward from the very outset. The High Ambition Coalition, under the leadership of the EU and with the participation of some of the main countries involved in the negotiations (from small island countries like the Marshall Islands or powers like the EU and the United States to emerging economies like Brazil, to name just a few), was a last-minute player that was fundamental in reaching a much more ambitious Agreement than anyone expected. It is also important to acknowledge the role it played in shaping and driving forward many of the ideas and concepts which make up the Paris Agreement and will be decisive in assuring that it will be implemented with the ambition needed to prevent overshooting the target of 2 °C. We are now entering the next stage in which implementation of the nationally determined contributions to tackling climate change will be the challenge, and this will require the joint efforts of all parties, especially in the area of development cooperation. To conclude, it should be underscored that the Paris Summit has opened a new phase in the international negotiations on climate change within the scope of the United Nations Framework Convention on Climate Change. This is not to say that our task is done, not by any means, and indeed we are setting out on a stage in which there are still major technical hurdles to be overcome, hurdles that will be decisive for the success of the international climate change regime starting in 2020, and negotiators will now need to turn their attention to settling these issues in time. The Paris Agreement has also been an incontrovertible success of worldwide diplomacy, which has for years been seeking a framework for action that would bring all countries into the fold.